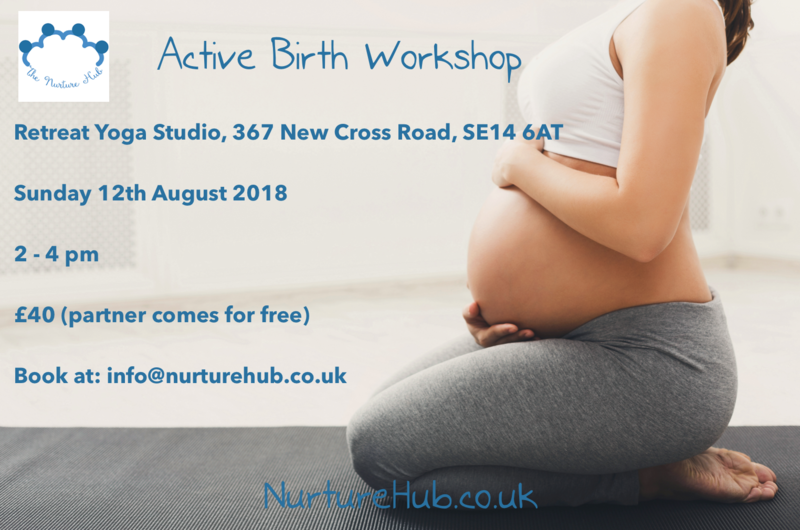 Join us for Nurture Hub’s Active Birth workshop, a comprehensive two hour session combining antenatal education with the principles and practices of hypnobirthing and yoga. Suitable for first and second timers alike, the workshop will help to reframe perceptions about giving birth and leave you feeling empowered and positive. The workshop costs £40 per person or couple, so feel free to come solo or bring along your partner for free. And make sure to keep an eye on our Facebook page for special offers and further workshop dates.